Get ready for the annual Sealed With a Kiss: A Celebration of Love Event! Beginning February 1st, stop by to read love letters written by your favorite historical romance authors from the POV of their characters. Each day a different author will stop by to share love letters written from both the hero and heroine from one of their books. Along with the love letters, each author will host a special daily giveaway. But that's not all! There will also be special prizes up for grabs in the GRAND PRIZE giveaway. So make sure you come back on the 1st and check out the fun! The event will run February 1-14. All items are US shipping ONLY. Please fill out the Rafflecopter form for entry. Special thanks to all of the authors for participating and donating items for the event. You all ROCK! Good Morning and so excited about all of these great authors!! This looks like another fun time and perhaps I'll find a new favorite author. Anna Campbell, adored the letter and looking forward to your next book! Looking forward to all the Authors. Such a great event. I love the art of love letters ! How I'd love to receive love letters like those!! An email or text message just isn't the same, is it! lol I'm really enjoying each day with a different author. More awesomeness every day ! Ladies we are truly blessed to be in such lovely company! Thanks to all you wonderful authors, ( old freinds and new😉😊) for your time, the love letters and and participating in this Giveaway! Have lovely day and a great week! Another great read for my eyes and imagination!Thank you Elizabeth Essex for the chance for a real honest to goodness book to hold in my hands! Yay a new author to check out, stalk and add to my TBR list! Thank you for all the wonderful giveaways! I really am enjoying the love letters! Pleasure to meet you Michelle! Thanks for doing all these great events. As you know , I'm a huge fan of your Cavensham series! And this new book is sure to please as Well! Thanks for being here and participating in this awesome giveaway! Looking forward to all the authors books! I already have a few favorites 😁. 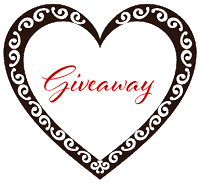 Thank you so very much for letting me enter your giveaway Happy Valentine's Day. thanks for the opportunities here ... fun reading ahead! Great line-up of participating authors! I'm really enjoying the love letters. Thanks for the great giveaways! Thanks for having this event.